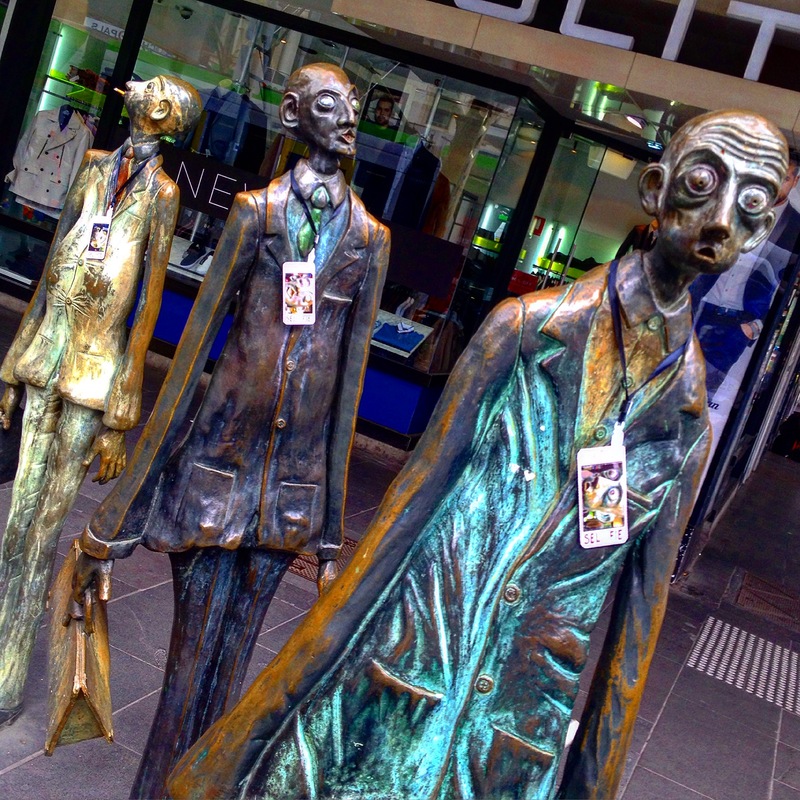 I have to write about this new and very prolific street artist in Melbourne because they specialise in street art sculpture. Kranky, a crank version of Banksy? 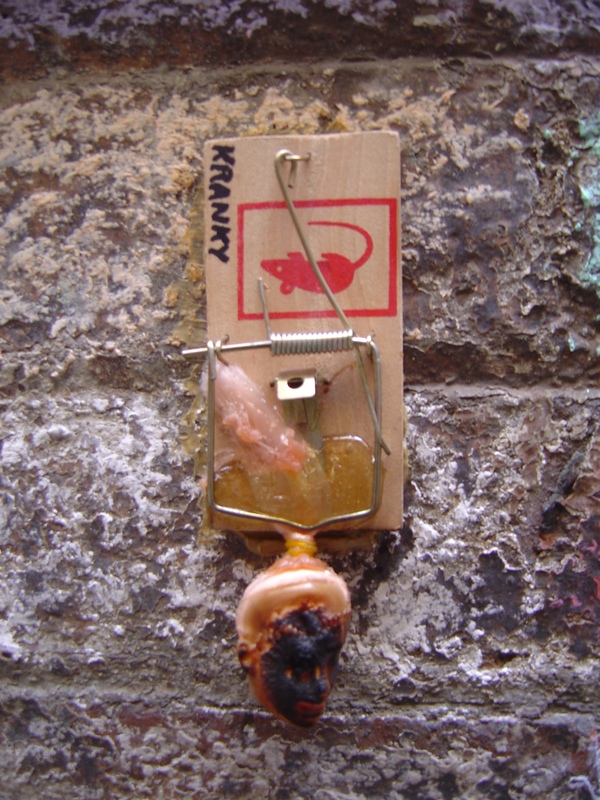 Mixing toys, plastic rats, rat traps, lego men, fake turds, fake CCTV camera; Kanky’s small assemblages are often jokes with references to art and graffiti. Simple, basic, crude but effective visual jokes. 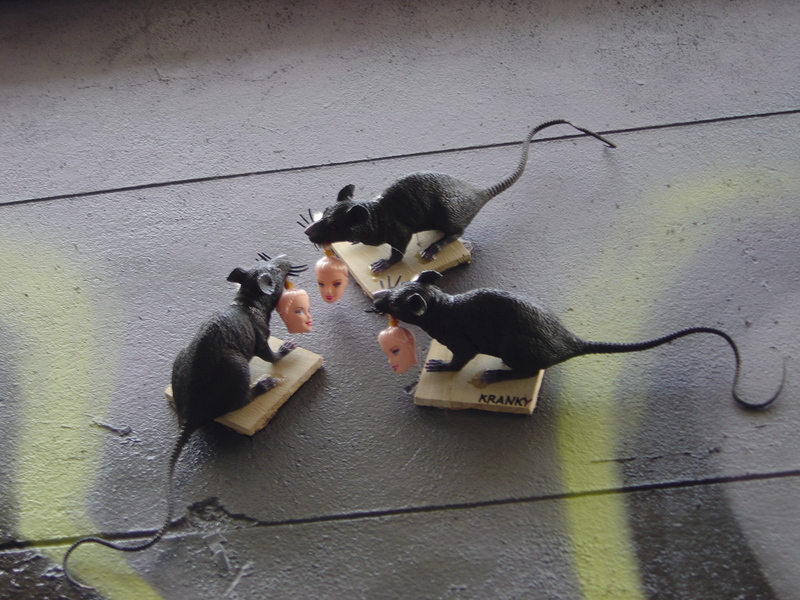 It seems to me that Kranky is often making a joke about Banksy’s style, it is so easy, just put a Barbie doll’s head in a rat’s mouth. I knew that I had to write about Kranky and this was reinforced when I saw StreetsmART’s photo of Kranky’s alteration to The Three Business Men… in early September. The non-destructive alteration of an existing public sculpture is a right of passage for a street artist working in three dimensions from Banksy’s wheel clamp on Bodacia’s chariot to CDH’s Atlas Intervention. 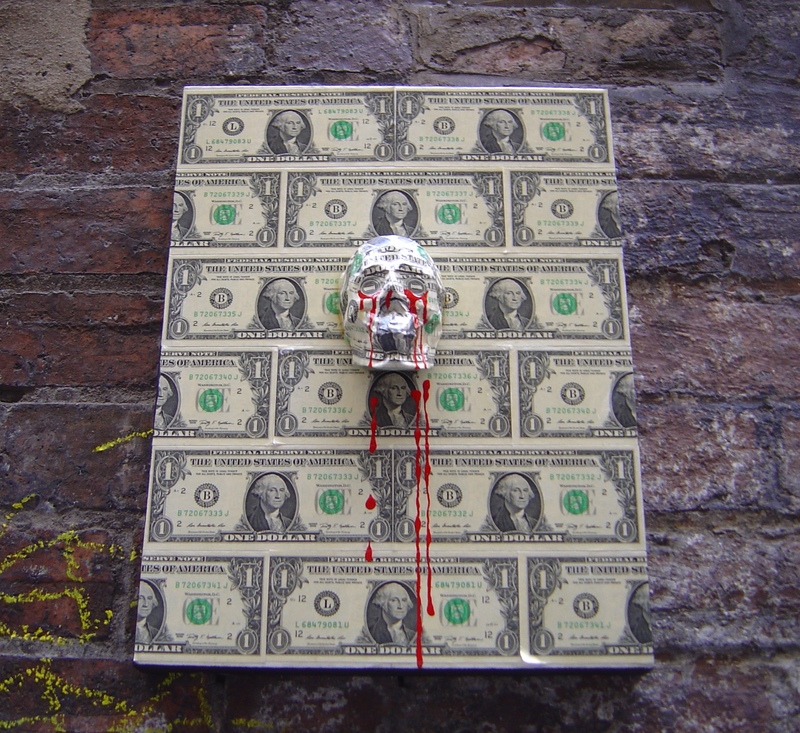 Kranky’s work is amongst the most ephemeral of street art sculptures. His works are quickly stolen and only the square bases, with the simple signature mark in san serif capital letters, remain behind. The theft of these pieces shows that someone really wants them (even though they destroy it for others and loose the signature in the process) and Kranky just produces more, individual pieces and multiples. 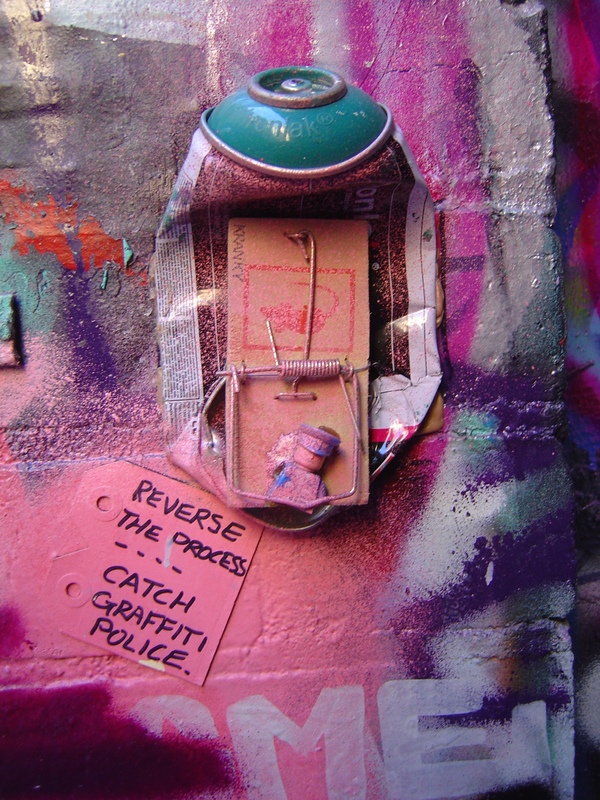 Kranky’s highly ephemeral assemblages stands in contrast to the Junky Projects and casts objects by Will Coles that are covered with many layers of aerosol paint after surviving on the street for years. 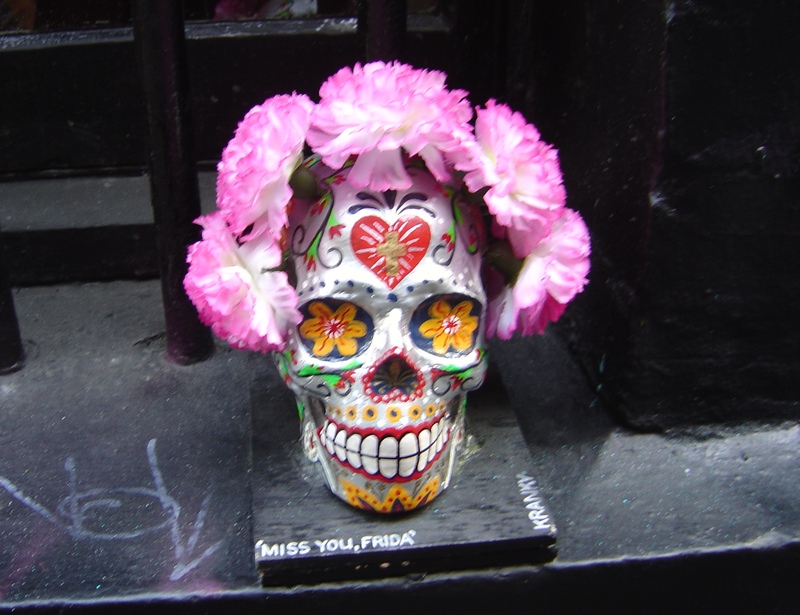 This entry was posted on Thursday, September 24th, 2015 at 2:00 PM	and tagged with Banksy, Kranky, Melbourne, Public Sculpture, Street Art, street art sculpture, urban intervention and posted in Public Sculpture, Street Art. You can follow any responses to this entry through the RSS 2.0 feed.